All Day I Dream has a distinct way of presenting music that aims to put the listener into a state of pure bliss and tranquility. As such, fans everywhere can rejoice in the announcement of the label’s 2019 world tour. ADID’s ability to delicately yet deliberately touch the soul with ethereal décor and emotive soundtracking is unparalleled and inspiring. This year All Day I Dream is hitting all the usual spots with its island residencies in Mykonos and Ibiza, as well as major cities around the world, including New York, San Francisco, London, Moscow, Chicago, Los Angeles, Dubai, St. Petersburg, and Toronto, among others. The current listed cities and dates will only grow as we get deeper into 2019. 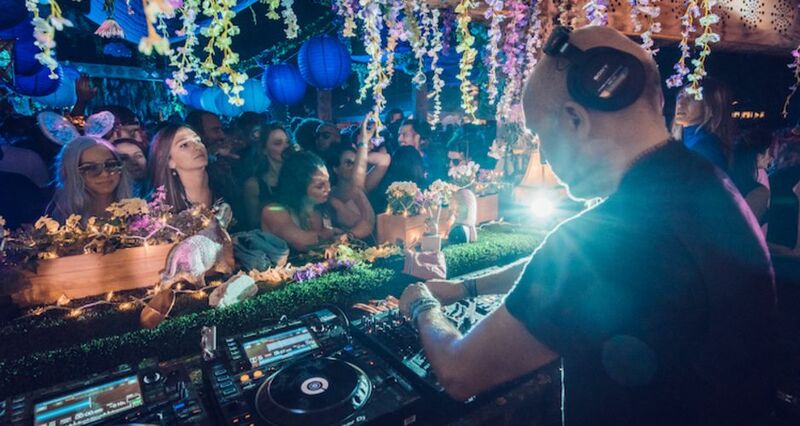 Label boss and genius Lee Burridge has kept himself busy thus far with not only the world tour but with a return to the Radio 1 decks for a new Essential Mix featuring label newcomers and seasoned veterans. Some new artists featured on the mix include Roy Rosenfeld, DSF, Newman, innovative duo Double Touch, and Facundo Mohrr. All of these artists create expressive and melodic music that’s impacting the deep house scene and redefining the genre altogether. Beloved family members like Lost Desert, YokoO, Oona Dahl, and Hoj are also on the mix, helping to shape the one-of-a-kind ADID sound. The mix is dreamy, filled with unreleased tracks, entrancing, and mystical: all things you can expect from any ADID show on the world tour. For more information about the tour and who’s playing, visit https://www.alldayidream.com/ and snag a ticket to experience the magic for yourself. featuring label newcomers and seasoned veterans. Some new artists featured on the mix include Roy Rosenfeld, DSF, Newman, innovative duo Double Touch, and Facundo Mohrr. All of these artists create expressive and melodic music that’s impacting the deep house scene and redefining the genre altogether.